Tomorrow, April 22, is Earth Day! It is becoming more and more popular each year. I have a quick Earth Day Craftivity for you to do with your kids. You will need to download my free worksheet at my website. Click here. The children will need to color the Earth shape. Then with your help they can cut the shape and make arms and legs with thin strips of construction paper (folded back and forth accordion style). Glue or tape the arms and legs to the Earth shape. If you don't have time to make the craftivity with the kids, you can still use the Earth Day printable as a coloring page. Click here to get your free Earth Day Printable. Also in my store, I have some Earth Day Number Puzzles. Click on the picture to go to my store. 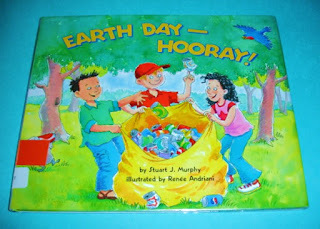 Enjoy Earth Day with the kids!! !